IMPORTANT: Ink dries fast if cap is not tightly closed! 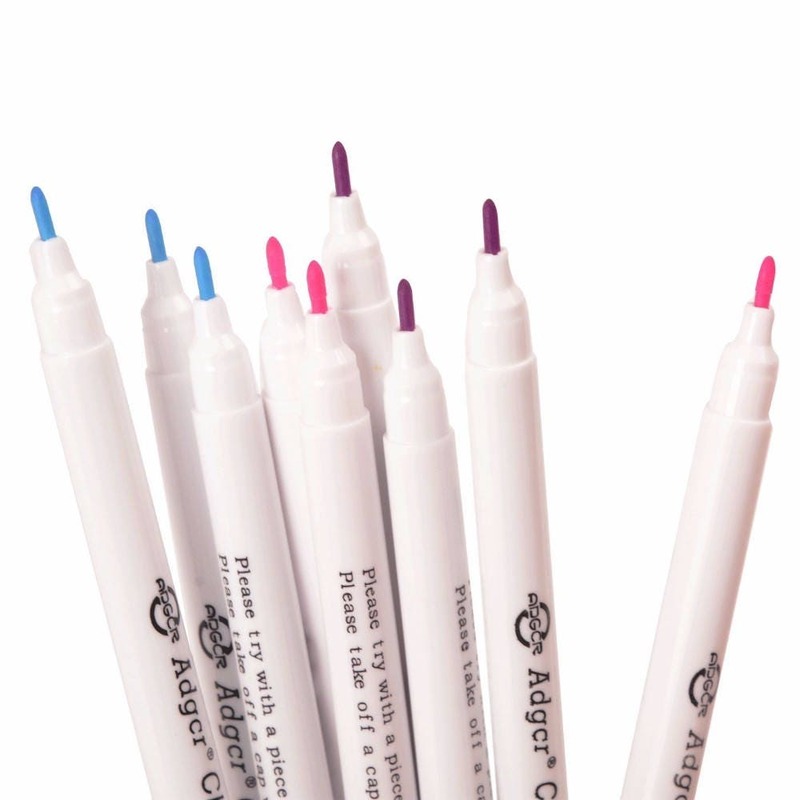 Purple pen : Automatically disappear within 7+ days or wipe off with water as soluble ink will disappear instantly. Pink pen : Automatically disappear withing 7+ days or wipe off with water as soluble ink will disappear instantly. Blue pen : Writing or Trace will not disappear automatically, but wipe off with water as soluble ink will disappear instantly. Dark Blue pen : Automatically disappear withing 7+ days or wipe off with water as soluble ink will disappear instantly. 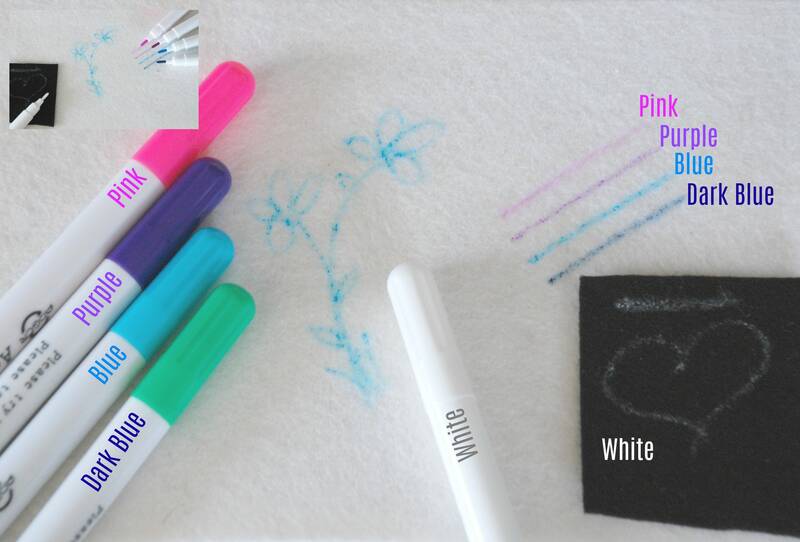 White pen : Automatically disappear withing 7+ days or wipe off with water as soluble ink will disappear instantly. 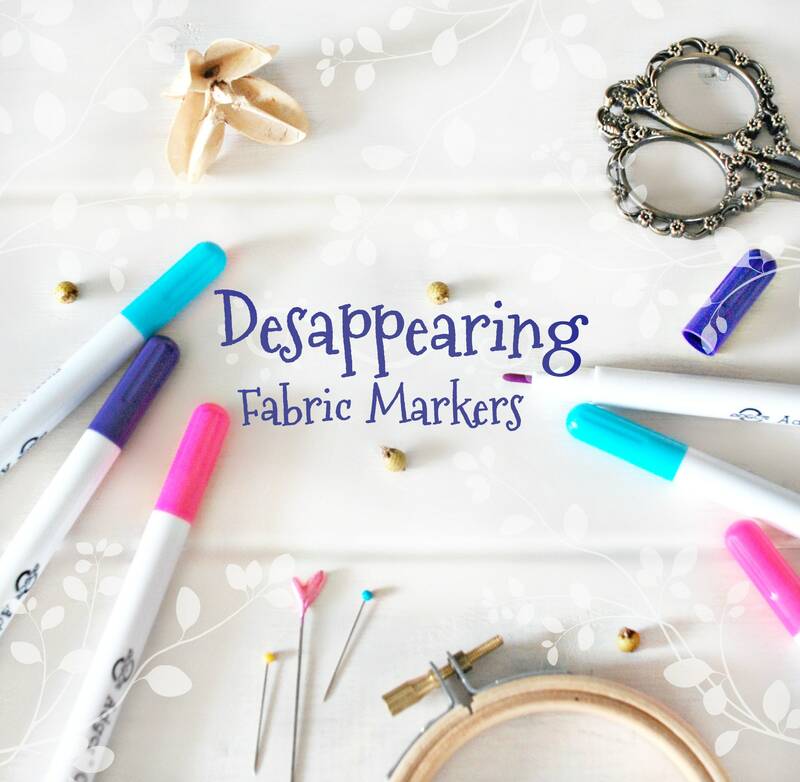 These pens are one of my favorite tools for drawing directly onto Wool felt or other Fabrics such as cotton, linen, etc. 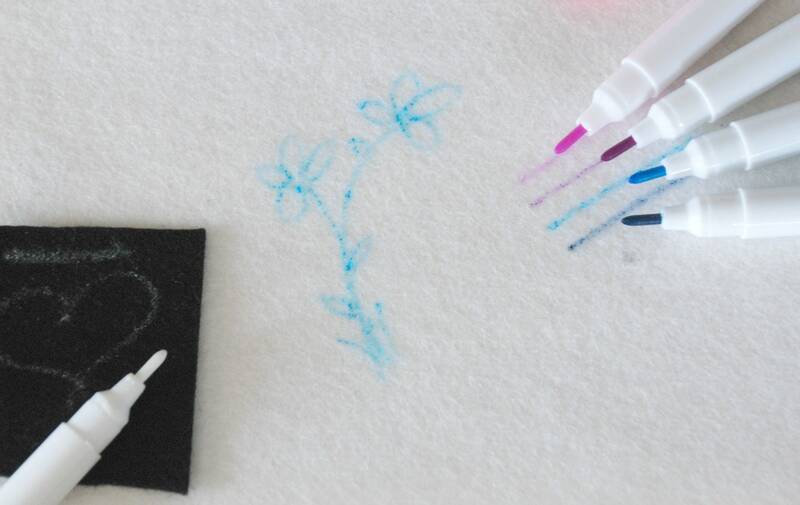 It is super hard to trace or transfer onto Wool Felt due to the wool fibers, but this pens work perfect with wool felt. The tip is not fine, but it has just the right thickness for writing or drawing directly to the wool felt or other fabrics. The Purple color works the best with Crafty's Wool Felt, as it will vanished withing 72 hours or so, depending how much ink you used when drawing or writing. But if you need the ink to be gone immediately, just wipe it off using a tiny bit of water, really you only need a drop or two and the ink disappears like magic. It will not ruin the wool felt. Super exited that this pen comes in White, and this is perfect for Dark Colors! So now you can just Write or Draw directly to you wool felt or other fabric and you are ready to stitch away! Lovely seller, tested both fabric markers before sending and attached the test strips of felt so I could see how both inks show on the felt. Top quality customer service!